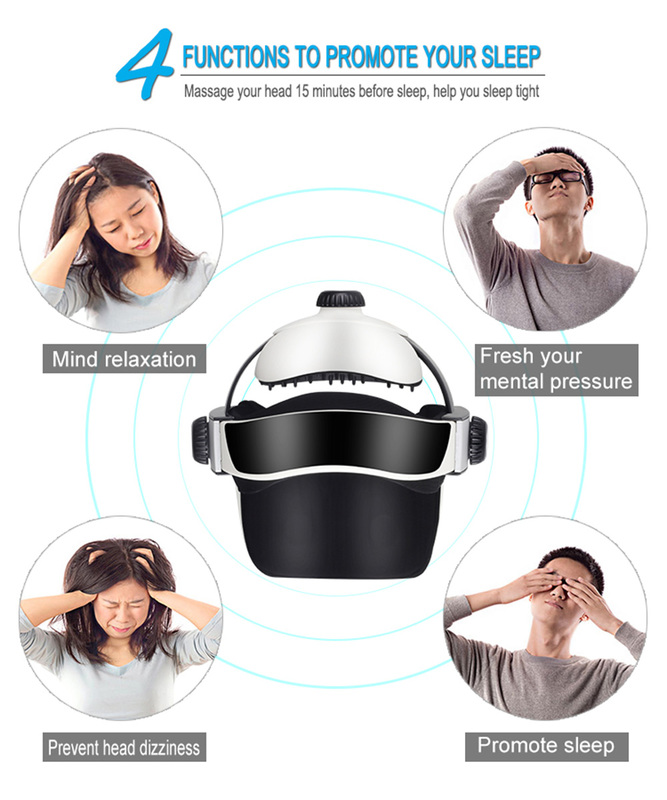 - This head massage helmet have smart air pressure, knead, multi-frequency vibration and head massage functions. 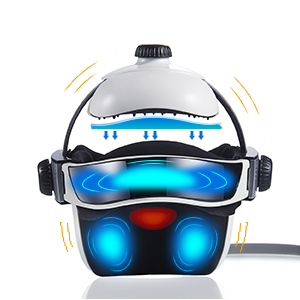 - Massager 15 minutes every day, relax your mind, relief head ache, help to sleep. 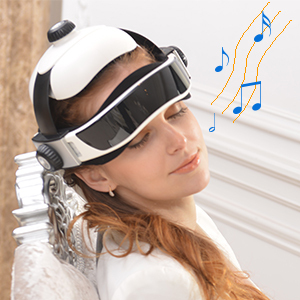 - With music player function, you can download the music you like, enjoy the music when you do the massage. Unrechargeable - electric powered/AA battery, you can connect the controller to the socket to work, also you can put 4pcs AA batteries into the controller to work. The battery was not included. 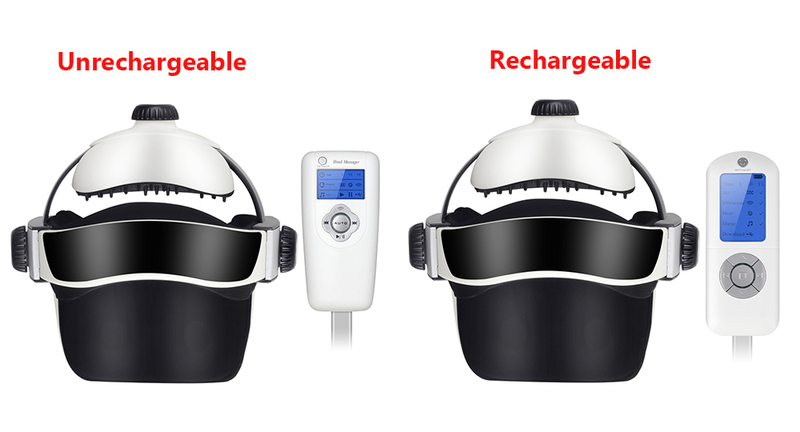 Rechargeable - With lithium battery in the controller, use it after full charging, more convenient, you don't need to connect the controller to the socket all the time, and save the money for battery. 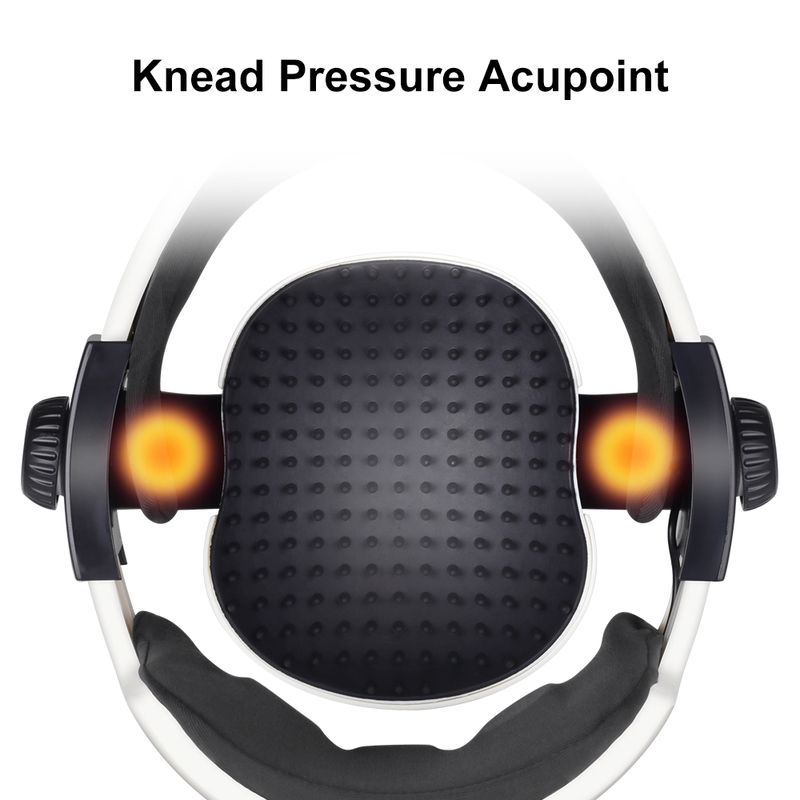 This product is NOT a substitute for healthcare professionals' device or treatment. 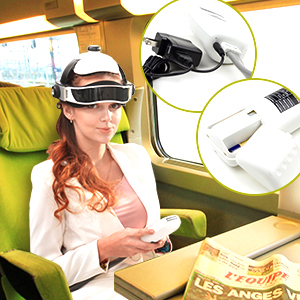 Put the head massager on head, and ensure that the front part of this device does not cover user's eyes. 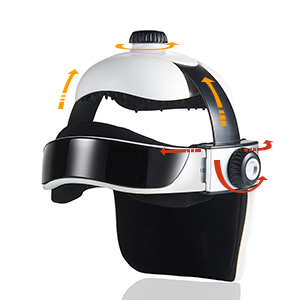 Adjust the height and size of the head massager by turning the knobs. When all things are set, then press the power switch to run the device. Press the power switch button to initiate the device. After switched on the device will automatically run preset program. 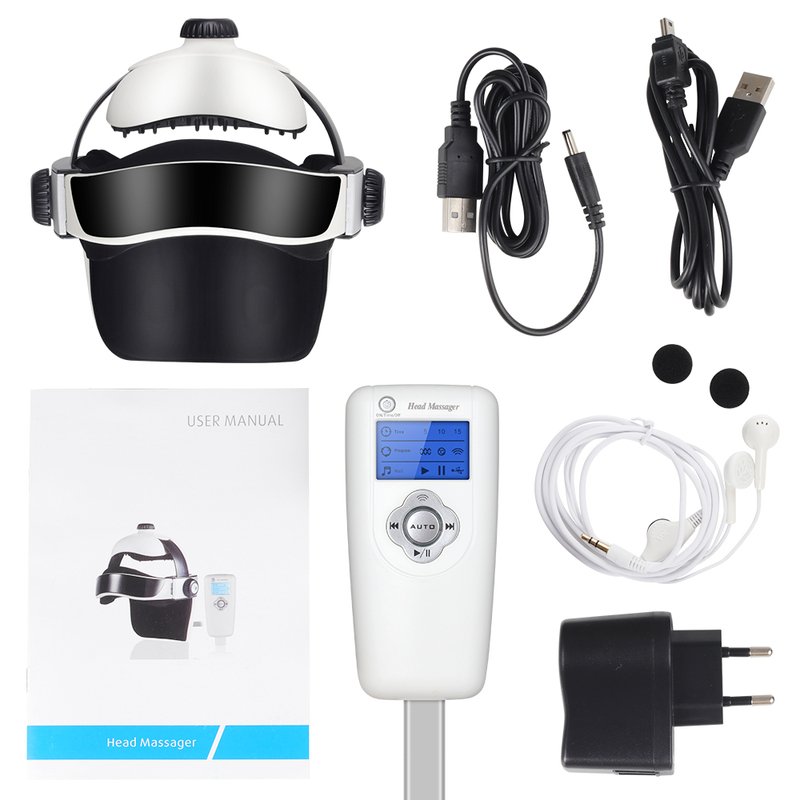 Press the power switch button to terminate the massage process if you need. Before use this device please read the product manual carefully to ensure proper operations. Please do not use this device continuously for over 15 minutes. please ensure the device's working environment is not damp or humid. Keep this device away from liquid,fire and flammable stuff. During device using, please do not cover the device with blank or clothes in case any fire hazards caused by bad heat emission. Do not operate this device when hands are wet. 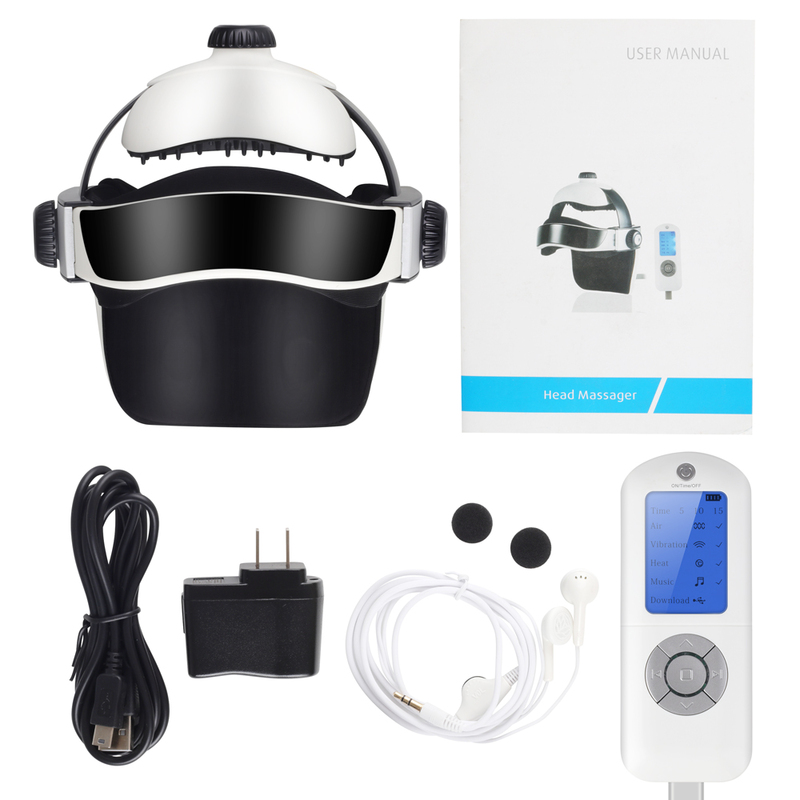 This device is designed for home use not for commercial purpose. 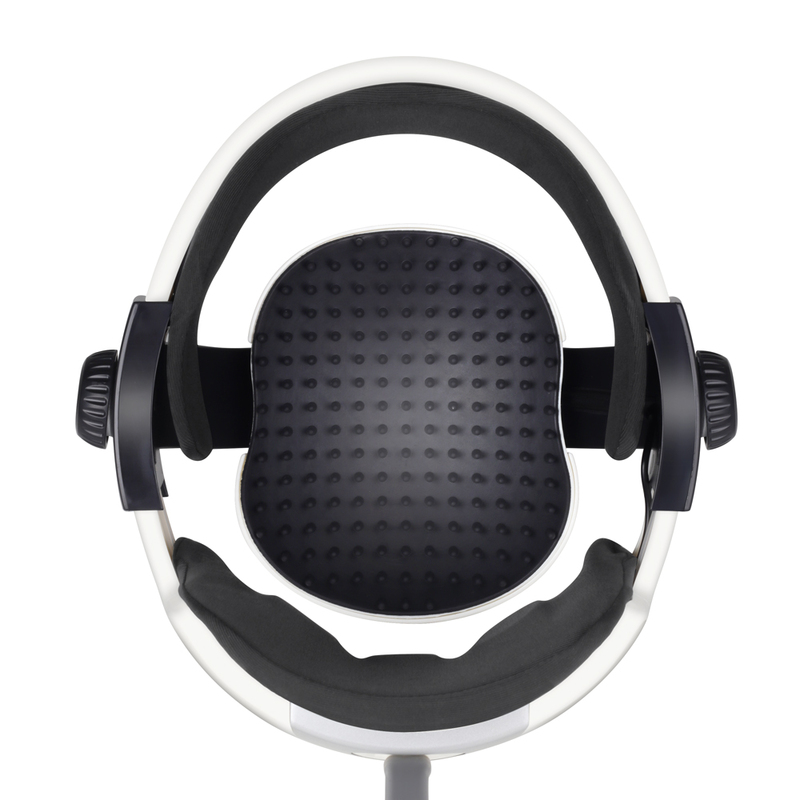 For hearing protection purpose, please adjust the in-built MP3 music playing sound volume to a proper rate. No smoking while the device is in use. If any following situations detected, please unplug the device immediately. â€?. 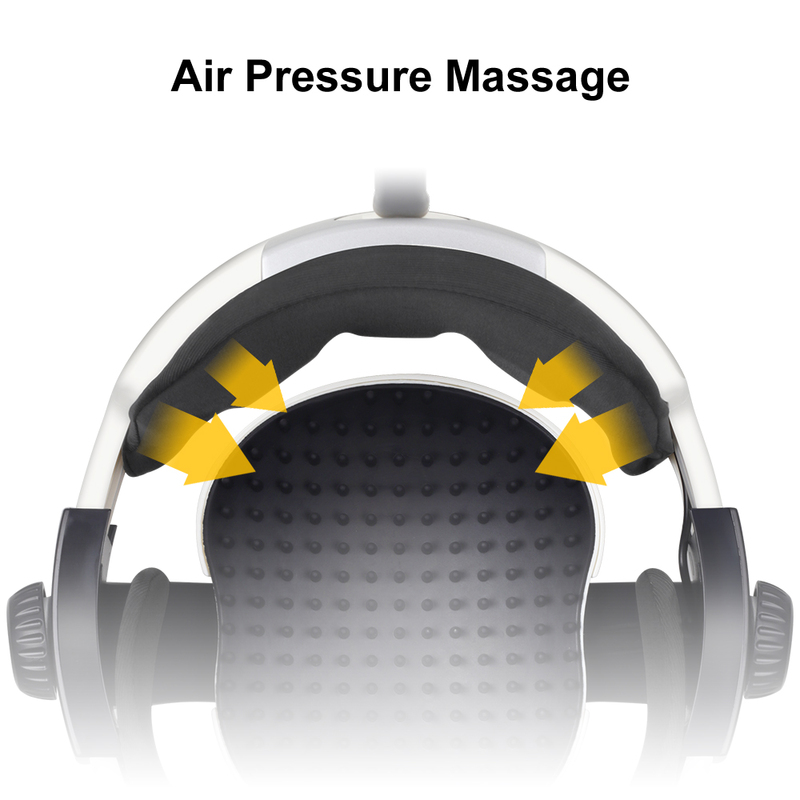 Deep Massage (air pressure massage mode): 4 massage patterns. 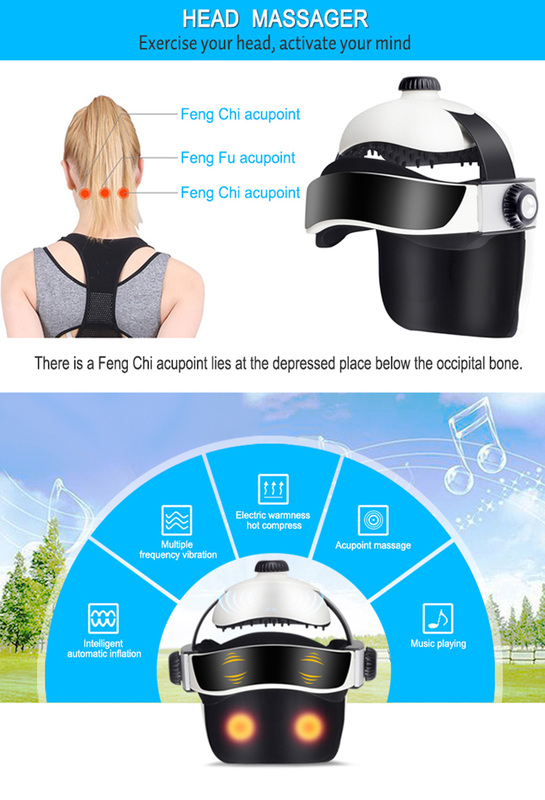 â€?span class="a-text-italic">Diagrammatic drawing in Blue shows the air pressure function, it works squeezing acupuncture points on forehead (Shenting and Yangbai), temples (Temple) and back side of head (Wind Pond/Fengchi) by absorbing and desorbing air pressure. NOT roll up and down or in circle, NO ROLLING MASSAGE, NO SCRATCHING MASSAGE. 2. 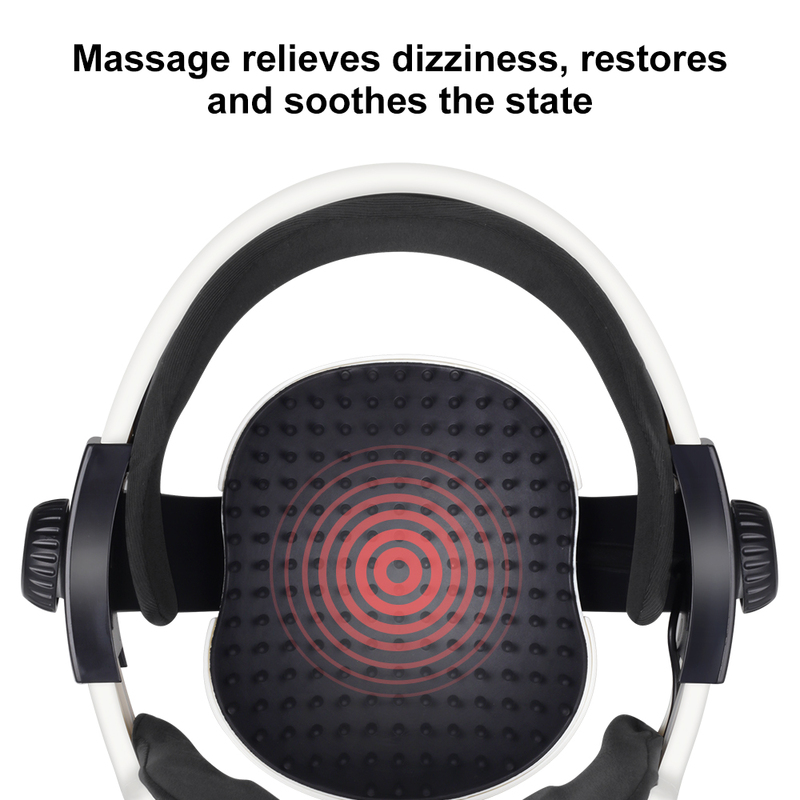 Heat (Hot compress massage mode): 2 heating levels. Diagrammatic drawing in Red shows the heating function, it locates on back of head (at Fengfu acupuncture point). 3. Vibration Massage: 10 patterns. 5. Time: 5, 10, 15 mins. NO AIRBAGS AND PAWS ON TOP OF THE HELMET BUT MASSAGE NAILS ONLY. 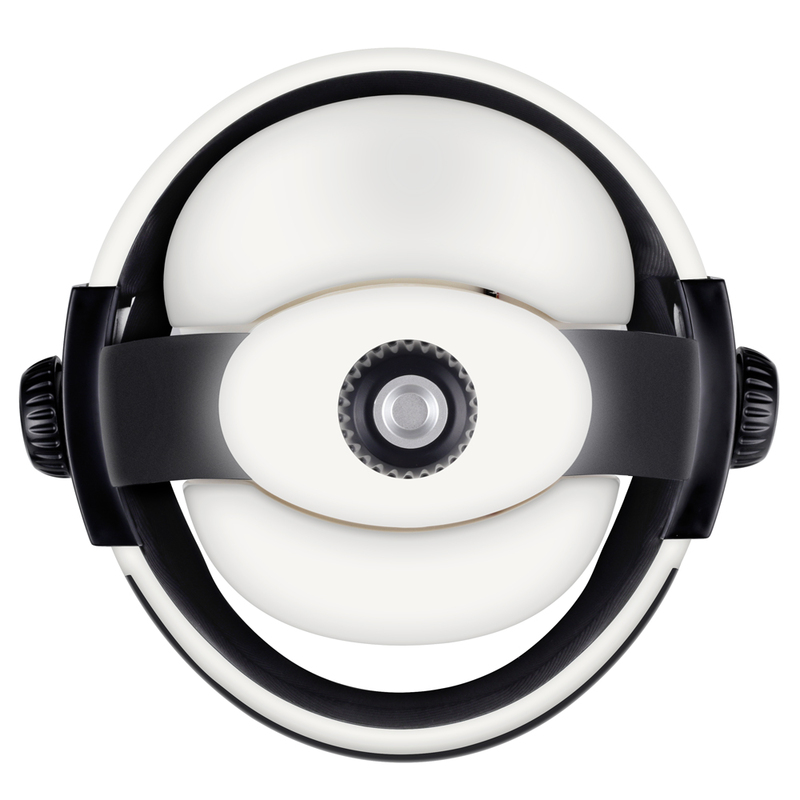 IT VIBRATES, BUT NO SCRATCHING, NO HAMMERING, AND NO ROLLING. You can choose which options to use and which to not use, or choose to use all four at once. 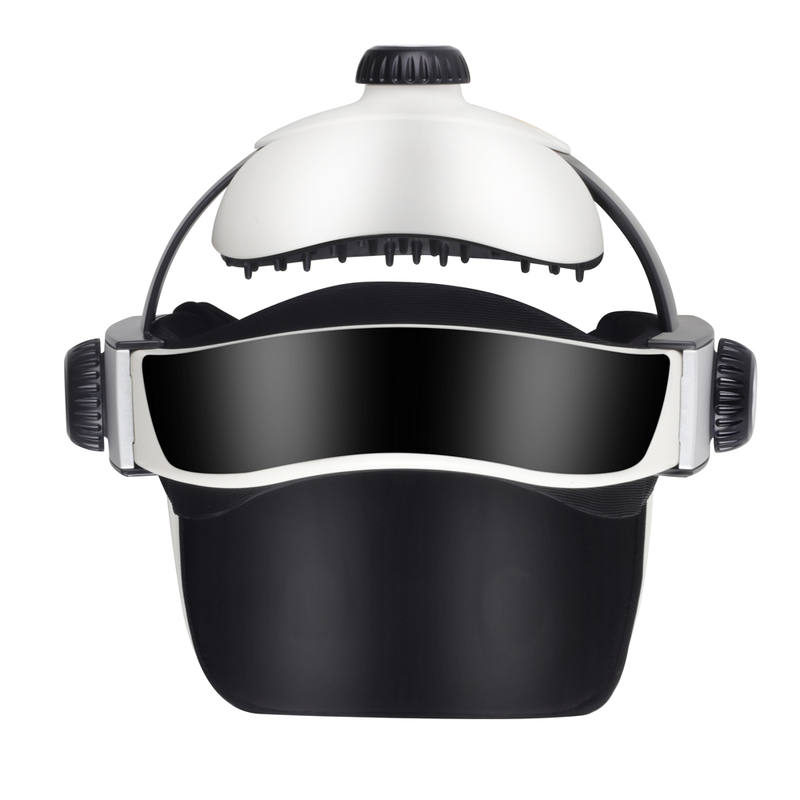 There are many options and settings in this helmet, even for heat and music. You can combine the options as per your wish. 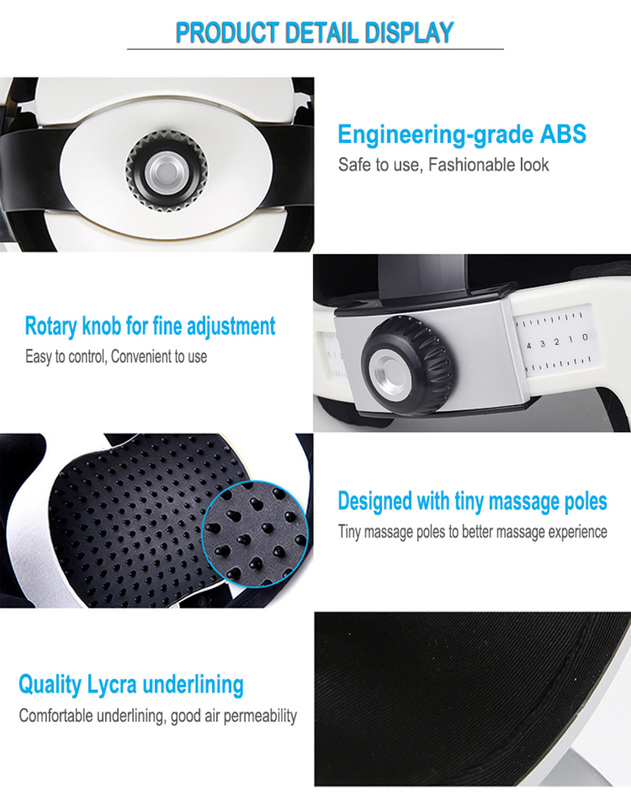 Symbols of each massage programs displays on screen of remoter, easy to understand. 1. Cannot use with batteries and power cord at the same time. 2. Remoter cannot work when batteries are not powerful. Recommend to use rechargeable batteries if powered it by batteries. 3. 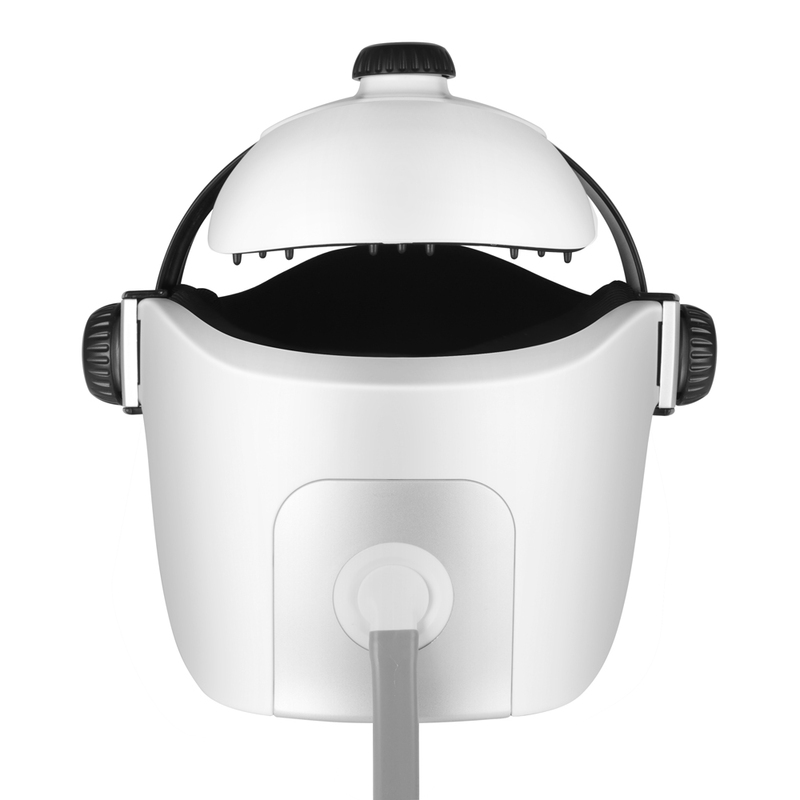 Do not pull the helmet with the long cord as it may cause air pressure fault. 4. When facing functioning issue, please check "Trouble Shooting" on manual for solutions. Mostly, replacing remoter can resolve 95% issue. 1. 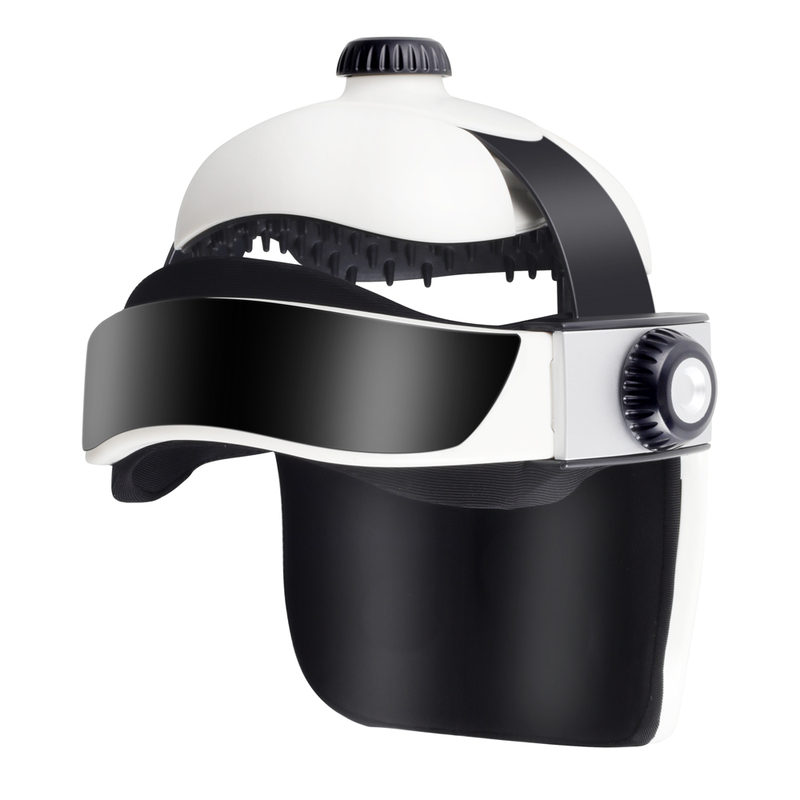 The helmet should be adjusted to give lots of wiggle room before you even begin. If you adjust it to fit snugly at first, you will be crushed when the massaging and squeezing begins. Give yourself wiggle room. 2. You shall correctly wear the helmet before use. Adjust both width and height of the helmet, ensure the airbags on two sides of helmet aiming at the Temples. 3. 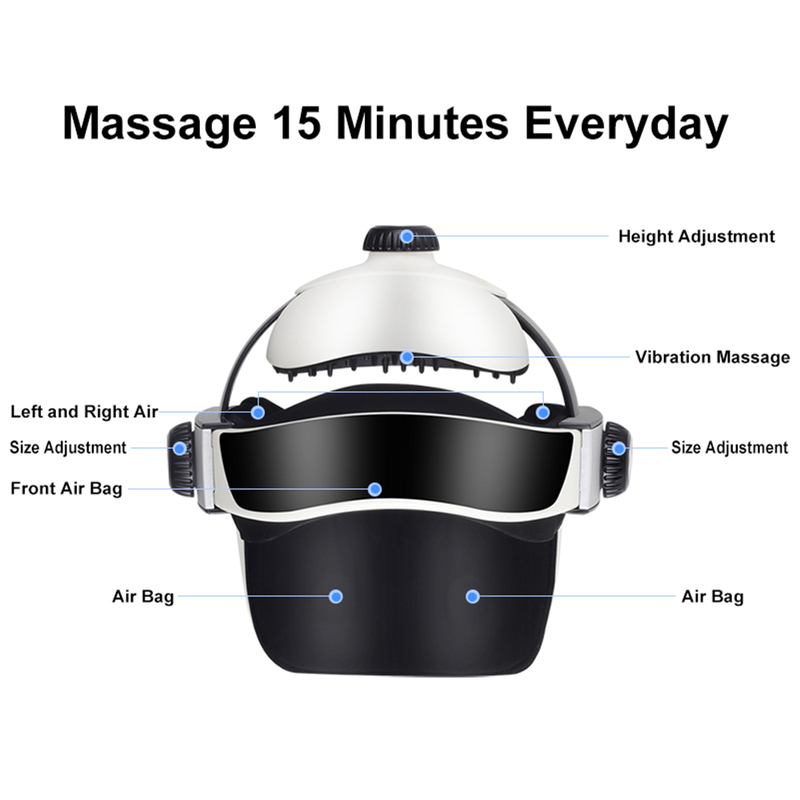 It is normal to have a little pain or aches on top of head or temples at the first time of usage because muscle has been stimulated and it takes time to get with it. 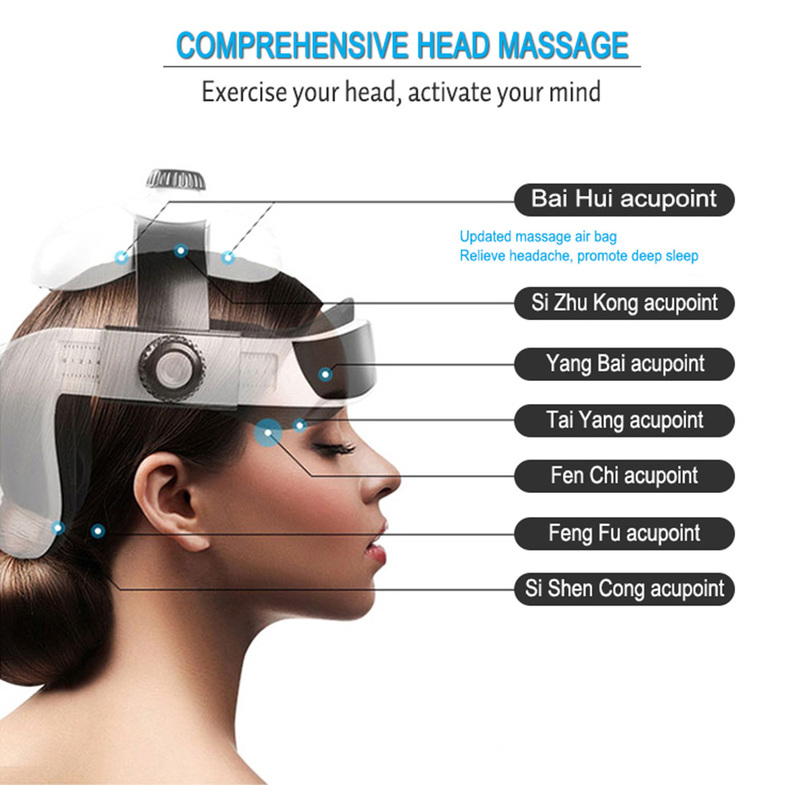 If it is your first time to use a head massager with air pressure, MUST give enough wiggle room before use, try every patterns and levels and use it 5 minutes only. The scale on side of knobs is to help keeping the product balanced on both sides. Before use, ensure that the product is well balanced for in case getting dizzy. Ensure that the airbags on two sides of helmet are arming at the Temples, otherwise it may squeeze the head bone, cause pain and does not relieve headaches. If you feel too tight/ squeezing too much, then loosen the size of the helmet (both width and height) and then tighten it little by little based on the feeling, and suggest not use the air pressure pattern no. 2. If you feel a bit headaches or dizzy, please stop using and adjust the size and position of helmet and then try again at another day. Be sure that you sit well and do not put your head on back of chair. NOT all programs should be used for pain relief or relaxing. Choose the proper patterns which suitable for you. If there is a lot of hair on back of head, user may feel weak heating. You can choose level 1 instead of level 2 if you feel too much heating. 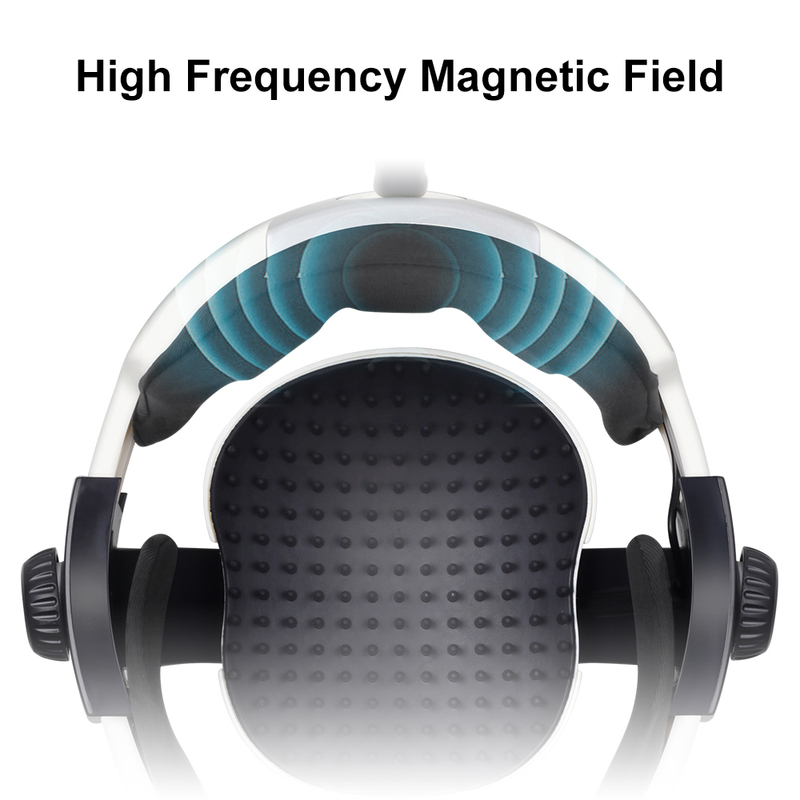 Choose a smaller vibration massage mode if you feel noisy. 3 adjustable knobs to make it smaller or bigger for the perfect size. It fits most of people. Default diameter is 6.3". Adjustable up and down 0.79", back and forth 1.38". Music can be turned off by pressing music button for 3 seconds. One pair of headphones is included. No worry of losing the power cord. Enjoy massaging in front of computer. Massage at home, at work and at travel.